I’m Not Looking Forward to Tomorrow. And Here’s Why. 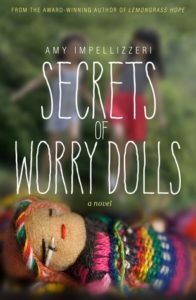 As I write this, my upcoming Release Day for my sophomore novel, Secrets of Worry Dolls, is less than a week away, and I’m already enormously excited for that day. This post is scheduled to run on Release Day itself, December 1, so know that today I am feeling all of the feels and pinching myself a little at the chance to do this all again. Today I am so very happy. But I already know that I’ll hate tomorrow. When the release day of Lemongrass Hope arrived, there were so many details I hadn’t expected – book clubs started contacting me right away, and my caterer for the launch party needed final numbers. I was invited to give a talk at the local library that night and a packed house showed up along with the local news (television and radio). It was exciting and heady and I teared up as my newsfeed clogged with photos of my debut’s cover on readers’ nightstands, beach chairs, and coffee tables. The day flew by, and I tried to soak in as much of the joy and hope of the day that I could. Which was a good thing. Because the next day was EXCRUCIATING. The next day was when many of those who had bought my book started reading … all went silent. This whole journey is so very personal for me. I want you to read my books, yes, but more than that, I want you to connect with something in them. And then I want to hear back from you about what you thought – for good or for bad – I want to know. When you finally do let me know, I’ll be thrilled to hear from you. If you invite me to come to or Skype into your Book Club to talk more, to challenge me on what you read, and/or to voice your strong opinions about the characters and the story and the resolution – I will be over the moon. But while I’m waiting to hear back from you? Sigh. I just hate that part. I will be so grateful and joyful on release day. I will be equally grateful and joyful when I hear from you again. 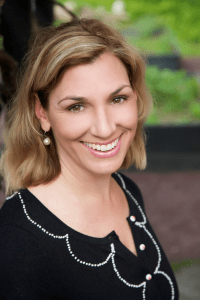 Amy Impellizeri is a reformed corporate litigator, former start-up executive, and award-winning author. Amy’s first novel, Lemongrass Hope (Wyatt-MacKenzie 2014) , was a 2014 INDIEFAB Book of the Year Bronze Winner (Romance) and a National Indie Excellence Awards Finalist. A favorite with bloggers and book clubs, Lemongrass Hope was named the #1 reviewed book in 2014 by blogger, The Literary Connoisseur, and topped several bloggers’ “Best of” Lists in 2015. 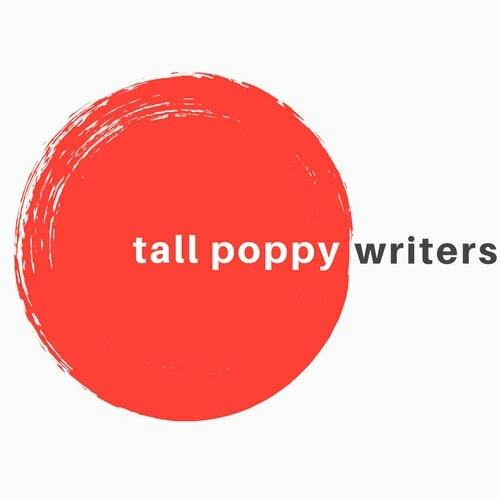 Amy is also the author of the non-fiction book, Lawyer Interrupted (ABA Publishing 2015), and is a Tall Poppy Writer and President of the Women’s Fiction Writers Association. Amy currently lives in rural Pennsylvania with her husband, three kids, and one energetic weimaraner, where she keeps up on all of the latest research confirming that caffeine is, in fact, good for you. Well, I’m reading as fast as I can, Amy! Can’t wait to get back to Worry Dolls. What a ride!